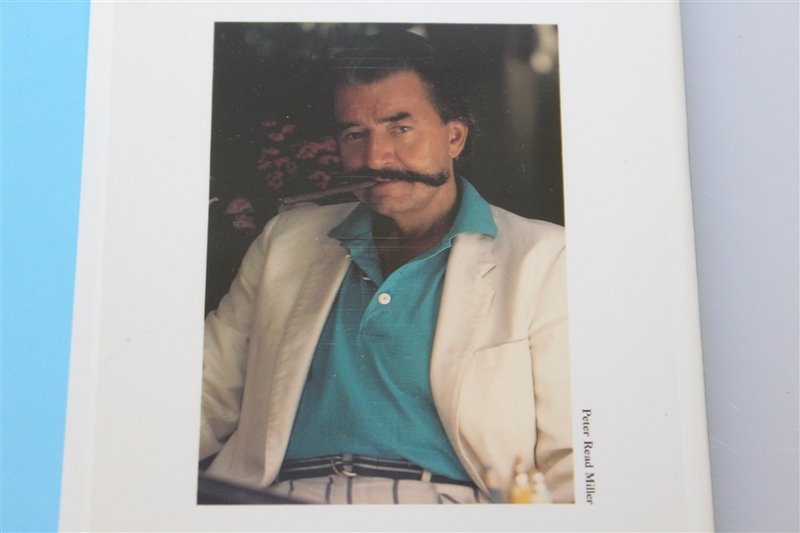 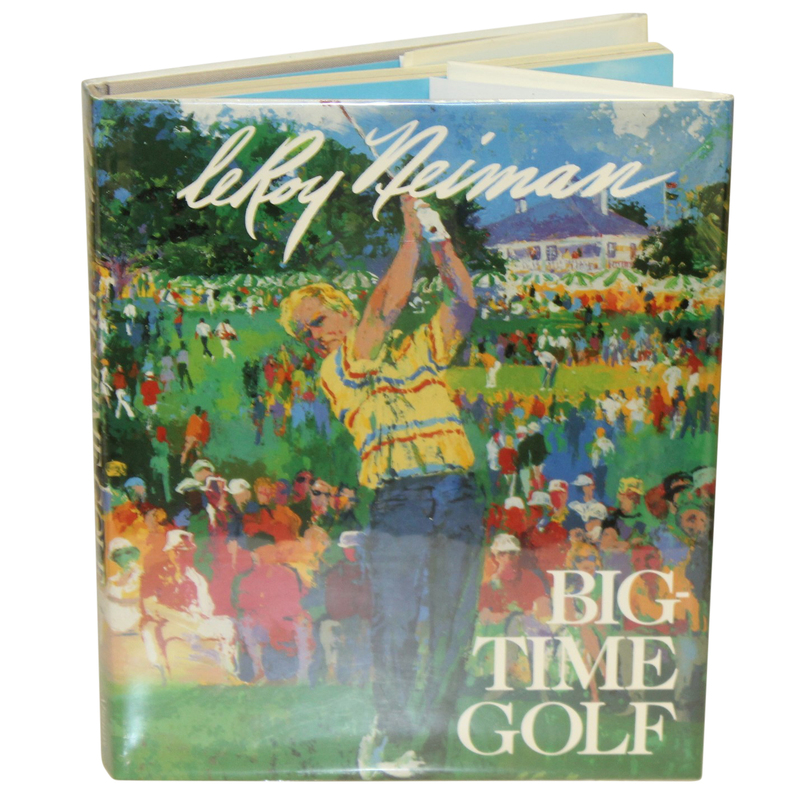 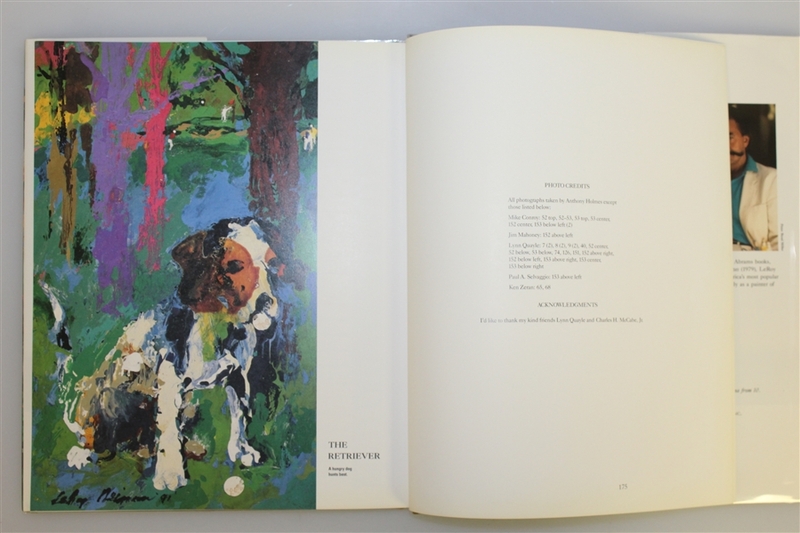 Golf along with boxing were two of LeRoy Neiman's favorite topics for his vibrant art to portray. 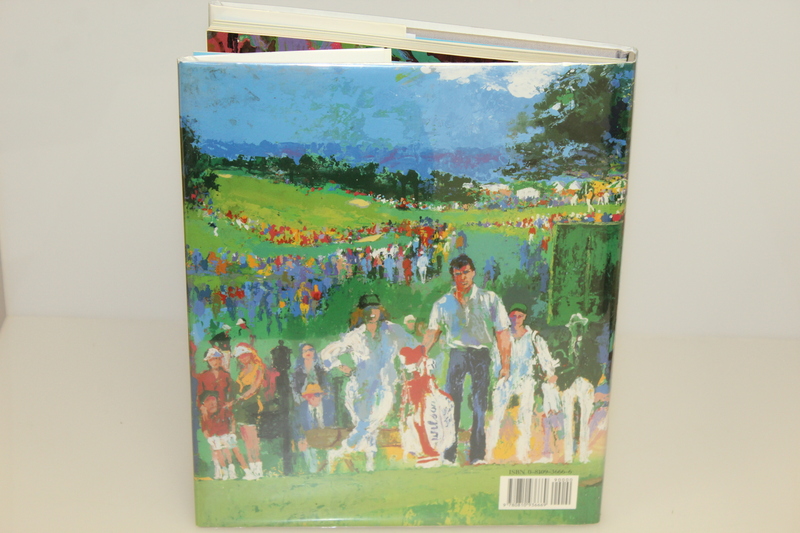 Offered in this 1992 coffee table book 'Big Time Golf" is a tribute to the golfers and classic courses which were the focus of this Hall of Fame artists works. 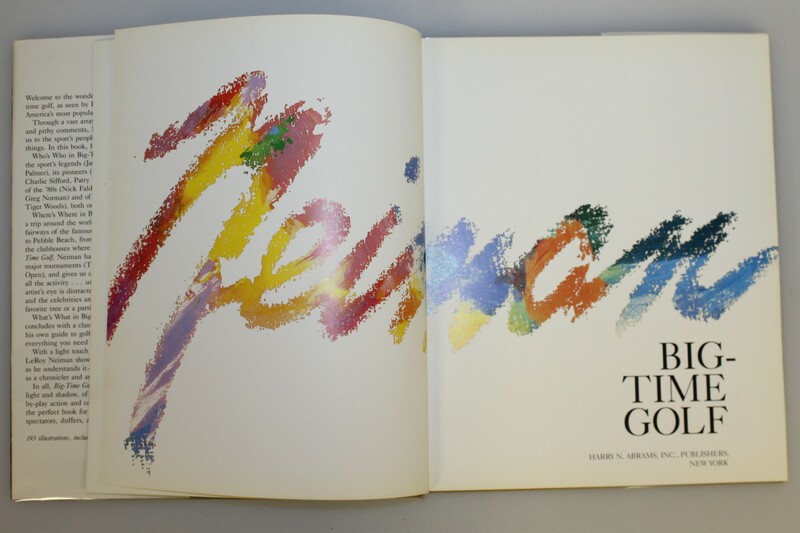 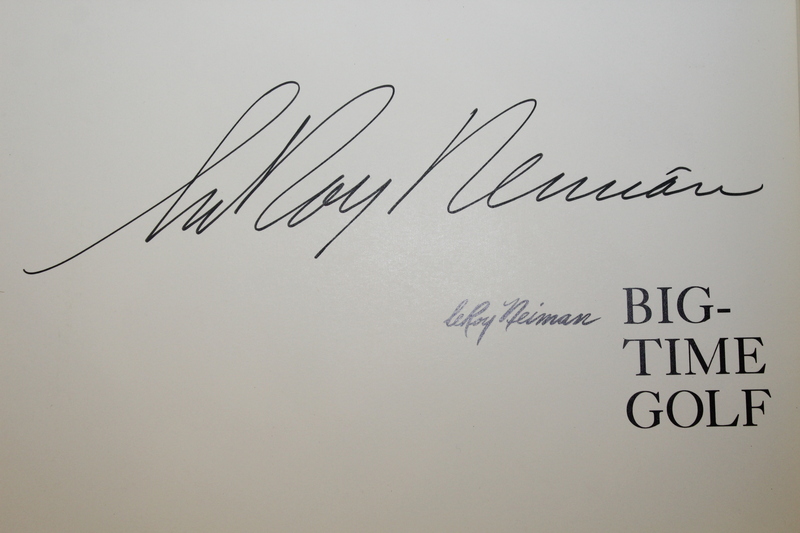 Neiman left his signature in blue marker inside this copy. 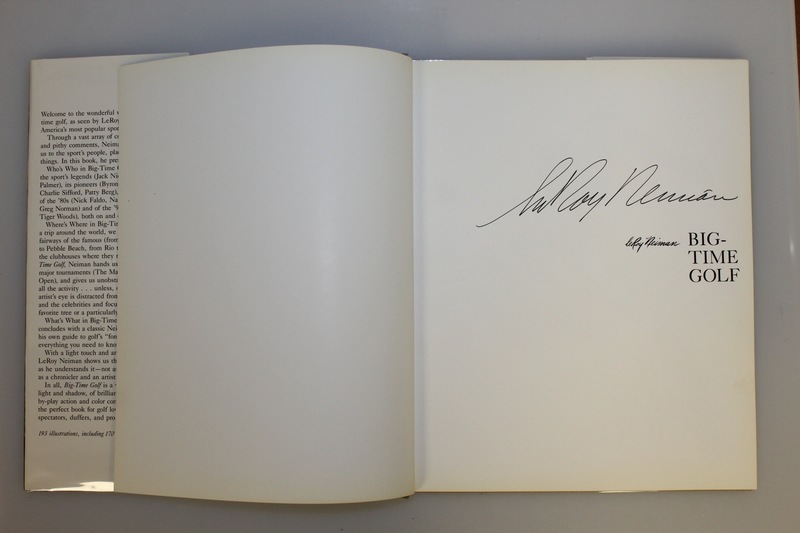 This book is in excellent condition and adds nicely to every collection.